White Center Heights Elementary School offers an innovative Vietnamese dual immersion program starting in Kindergarten. 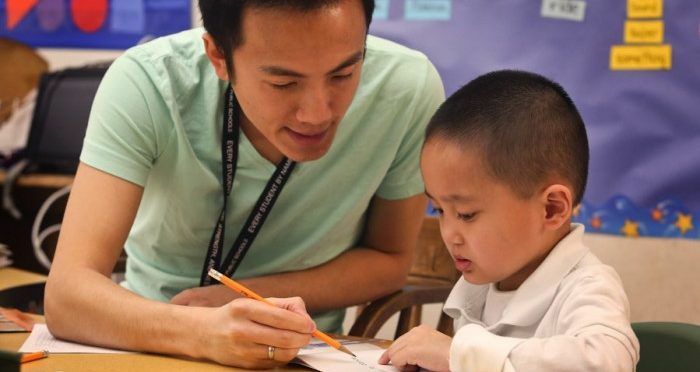 Vietnamese language is highly represented by students in Highline Public Schools and this program is an important and effective way of incorporating community languages into schools. Dual immersion program teach students a second language teaching some subjects in school in English, and other subjects in a second language. In this program, students are spending half of their day in an English-speaking classroom, and the other half of their day learning regular subjects in Vietnamese. This method of instruction is highly effective at learning a second language, and also boosts English reading and writing performance for all students. This program is fully appropriate for students that speak no Vietnamese at home as well as native Vietnamese speakers.